We Clear Everything provide house and office clearance in London and we provide expert apartments and flat clearance. Flat clearance service we provide in London is always professional and cheap. We have experience with every aspect of flat clearance that’s why you can be sure that for your money you will get good professional service. 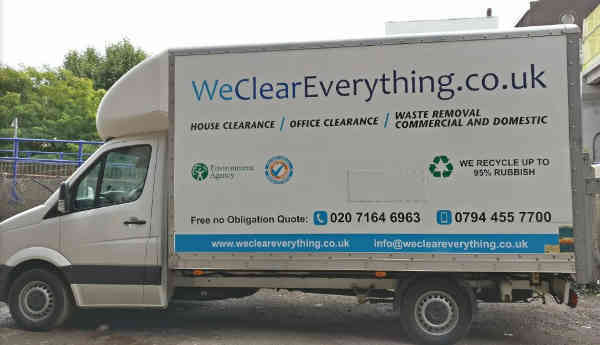 If you looking for a clearance company that’s reputable and affordable in London we are sure that we are enough good choice for your flat clearance. From us you will get only wide range of service and always we are ready to remove all junk from your flatt in London. We will bagged and take away all your unwated items. After that we will leave out the flat area clean and tidy. To check our prices and to order your flat clearance London service call us. We are pleased to provide flat clearance services throughout London.